Samantha (Laura Linney) and her son Rudy (Rory Culkin) live a life of routine in a small town. He goes to school and to a babysitter after school. She works in the bank and dates a local bloke occasionally. 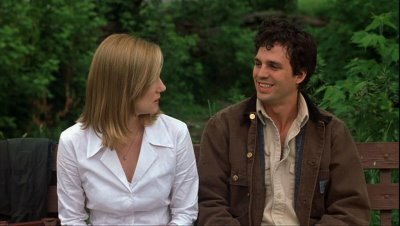 Then their routine is disrupted by two things: Samantha gets a new boss, Brian (Matthew Broderick) and her loose cannon brother, Terry (Mark Ruffalo) returns to town. It’s a story about getting people out of their comfort zones, of challenging their behaviour and beliefs, about taking risks and about recognising inner strengths and weaknesses. And it’s just fine. It’s not amazing, but it’s not awful. There were a couple of scenes that I found a bit ‘as if’ which was a shame. I think it was because the rest of the film did such a good job of playing to the emotional truth that when something was less than true, it really stuck out.